Yongkang Chiyu Industry & Trading Co., Ltd. The Products Hit Stik training aid is an effective, versatile batting drill device that resembles a baseball attached to a long, flexible shaft made of fiberglass. 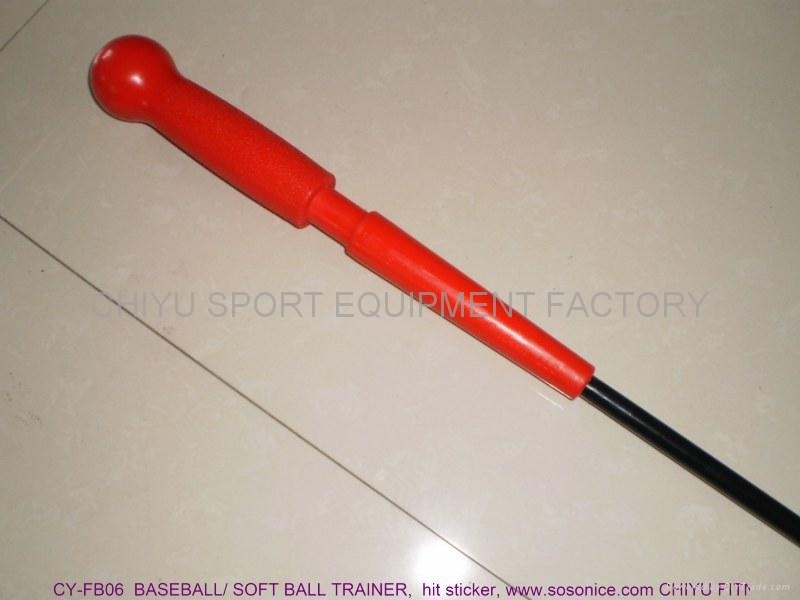 A coach or drill partner grips the handle of the HitStik and swings it towards the hitter in a trajectory similar to that of a pitched ball. Striking the HitStik creates virtually no "sting" for the drill partner. 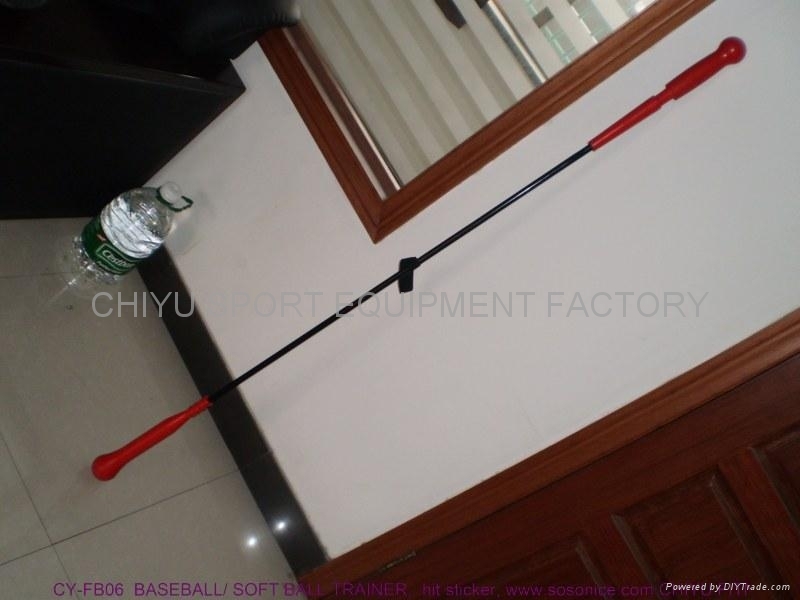 The HitStik training aid is great for pre-game warm ups and creating an instant hitting station. It'll help sharpen hand-eye coordination, build muscle memory and confidence and improve hitting stance, contact and bat control. The long length makes it safe to use for both drill participants. 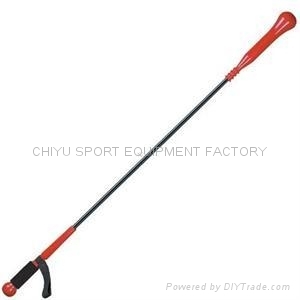 Its light weight of only 2 lbs makes it a portable training aid sure to make it into your regular coaching sessions. 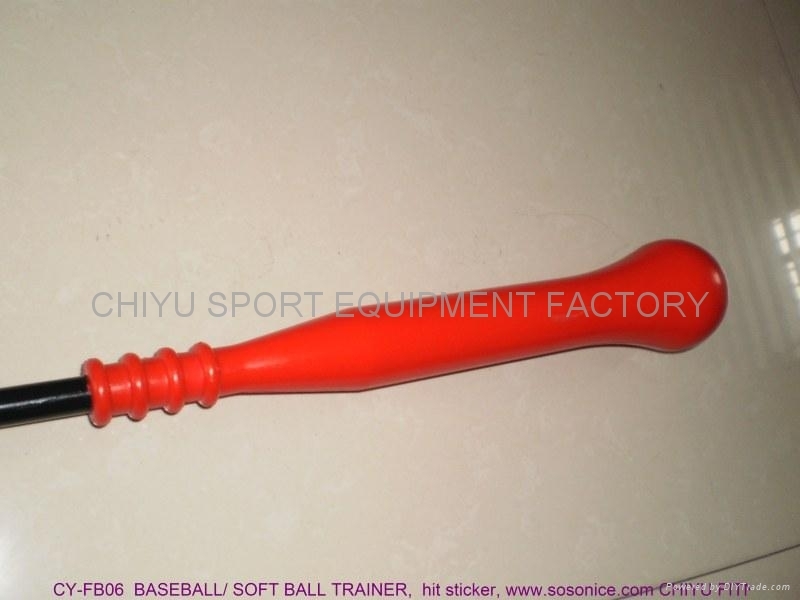 Fiberglass body and easy grip handle , GREAT for developing hand-eye coordination, proper swing mechanics, and stance. 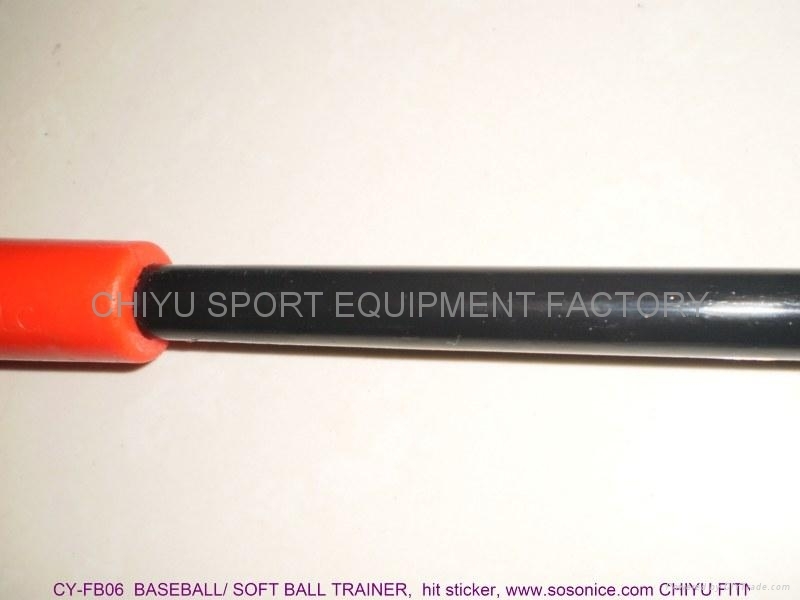 Enhances bat speed, confidence, endurance, and switch-hitting skills. Seperated packing for each set. , 20SETS/Carton. small batch order or dorpshipping order, normal delivery through EMS. Also we OEM for your design if you need any special size. 1) Because the freight is much different from country to country, and different lots quantity. so please checking with us about the final cost before you place the bid or order, If any debt. 2) Less than 100 sets can be delivered within 5 days after received order! 3) More big orders can be delivery within 20 days after received money or Up on the stock! 4) After confirmed received your order, we post as mentioned and present the tracking courier. and No. in 1-3days. 5) After the buyer received the goods, please check if the packing and the goods is good before sign the bill. We do not response for the destroy and broken during transportation. We are looking forward to hear from your feedback about our service, goods, etc. Besides, I would like to know your feedback about the courier, such as speed, cost,and service. Please do not forget give me a positive feedback! Thanks! ZHEJIANG, YONGKANG, JINTA ROAD 68.